From a coordination standpoint I was born to be chosen last. Other kids hoped there would be an odd number of players because no one wanted me or my skills on their team. If you’re looking for someone who’s good with his hands… a carpenter… an athlete… grace in motion, that’s not me. I’m the guy who planed right through his piece of Ponderosa pine in eight grade woodshop! It was tough then–really tough. It’s fine now. I understand. The skills that were important growing up are less so to an adult. The nerdy things I enjoyed and still enjoy seem more important. 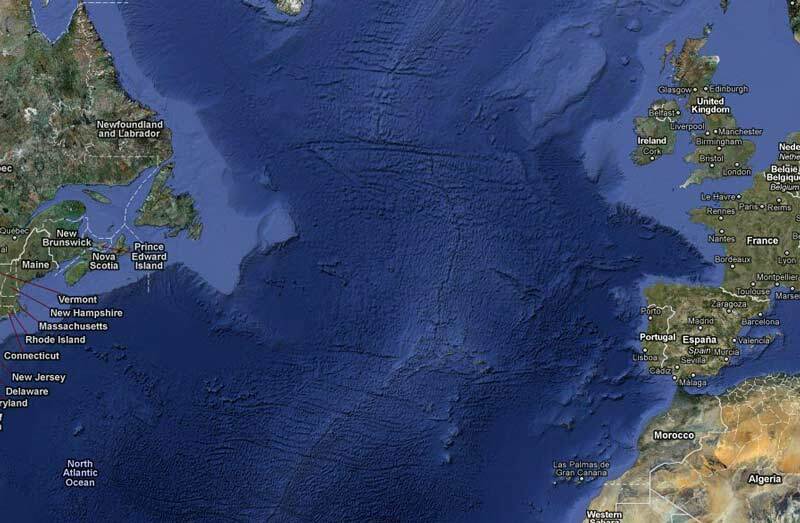 I thought of that tonight as I looked at the mid-Atlantic ridge on Google Maps. I used to love Atlases. Helaine once bought me one as a gift. I haven’t needed one in years. My atlas is on my computer and it’s better than any of the gargantuan editions I lusted after. The Internet has done more for guys like me than anyone else. The library is right here at my fingertip… and not some little branch library either! This is my era! My appetite for information has become insatiable. On weekends I silently curse websites that only update five days per week. In some ways it’s a curse. Even with constant updating I find myself falling behind in some tech subjects. It’s frustrating to discover a word or concept for the first time and immediately read comments from people who are already experts! I’ve become a warehouse of minutiae. There are worse things to be. I remember thinking about the lives my parents had growing up. No TV, they only had radio. I don’t think my dad’s family had a telephone in their 1930s Brooklyn apartment. I look at that period as if it was the Dark Ages. Some day my child will ponder my life pre-cellphone, pre-computer, pre-air conditioning, pre-microwave, pre-cable. The concept of my waiting until after 7:00 PM to make a cheaper long distance phone call isn’t just quaint, it’s unimaginable to her. To her am I a Dark Age escapee too? No – you learned to use an atlas and all of those “pre-technology” items to learn. You can explain to your children what they are, show them what they are, and then watch them as they embrace the current technology with an eye back to how their parents learned. I am just like you. I remember the first time I went on the WWW. The world opened up to me. Life is good. My kids are growing up in a world where its perfectly natural to have a DVR, computer, texting, internet access anywhere, etc. All things that when I was their age was unimaginable for me. DVR — I didn’t even think of that. I can relate – I’m still addicted to Google Earth, to me, it’s just fun.